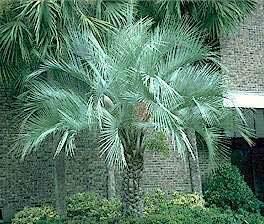 Description: Also known as Wine or Pindo Palm. One of the hardiest feather palms. Will withstand extreme cold (-10c to -12c) when larger. Beautiful blue green leaves that are strongly re-curved. Good indoors in good light and the fruit is used to make jelly.